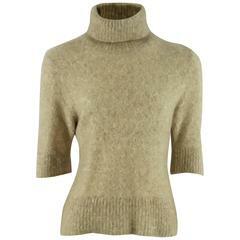 LORO PIANA pullover comes in a navy cashmere featuring a v-neck style. Made in Italy. Excellent Pre-Owned Condition. Marked: IT 40 Measurements: Shoulder: 22 in. Chest: 48 in. Sleeve: 27 in. Length: 28 in.